"They call me Big Mama!" 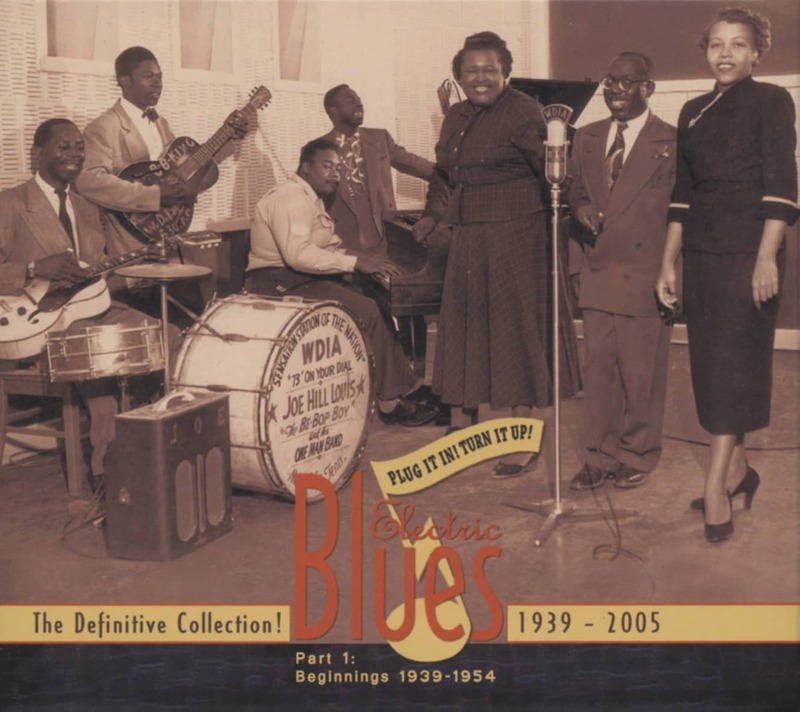 bellowed Willie Mae Thornton at her August 13, 1952 L.A. session for Peacock Records. She weighed at least 250 pounds and was one of the few artists on the label that actually intimidated Don Robey, the boss of Houston's Peacock Records and no shrinking violet himself. But that wasn't the eventual smash Big Mama laid down that day with Johnny Otis' band. That honor went to a rough-hewn, humorous blues supplied by young Jewish composers Jerry Leiber and Mike Stoller, whose Hound Dog made Big Mama an R&B star. Thornton was born in Montgomery, Alabama on December 11, 1926, her father a minister. Young Willie Mae started singing in church, but by 14 she was on the road performing, joining Sammy Green's Hot Harlem Revue during the early '40s. When they hit Houston in 1948, Willie Mae made it her home. Competent on harmonica and drums, she made her recording debut in 1950, fronting the Harlem All Stars' All Right Baby for tiny E&W. Then Robey discovered her, pairing her with Joe Scott's combo and then Bill Harvey's outfit for her first two Peacock dates in 1951. Otis pared down his horn-leavened band to only its rhythm section for Hound Dog, giving it a particularly lowdown feel and playing drums himself with Albert Winston on bass. Pete Lewis' snarling guitar winds around Big Mama's growls and cuts loose on a magnificent multi-chorus solo. 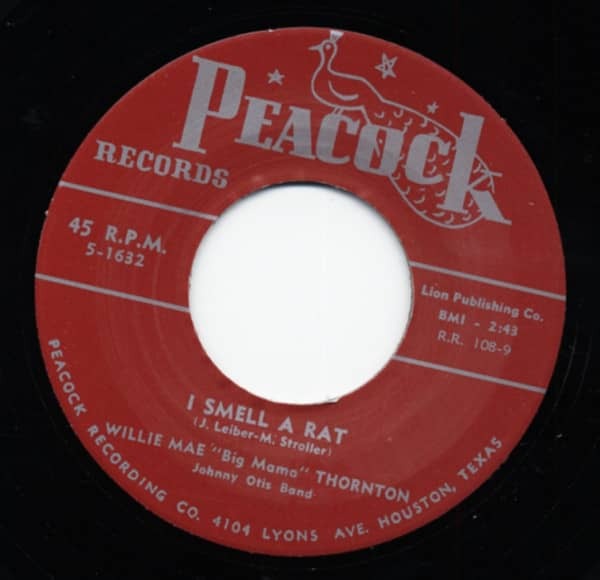 The track held down the top slot on the R&B charts for seven weeks in the spring of '53 and inspired answer records from Rufus Thomas, Jr. on Sun (a hit in its own right, Bear Cat attracted a lawsuit from Robey) and John Brim on Checker (Rattlesnake). Despite a string of excellent Peacock follow-ups that stretched into 1957, Big Mama never notched another hit. She moved to L.A. and made obscure 45s for Bay-Tone, Irma, Kent, and Sotoplay. Her fortunes finally brightened when she toured Europe with the 1965 American Folk Blues Festival and then cut her first LPs for Chris Strachwitz's Arhoolie label. When Janis Joplin introduced Big Mama's Ball And Chain to a new demographic, Thornton's profile increased significantly. It wasn't the first time a Thornton number did well for someone else. Elvis' rocket-fueled revival of Hound Dog with Scotty Moore's elastic guitar breaks paced the pop hit parade for 11 weeks in 1956. Ironically, Presley didn't pick up on Big Mama's original as cover material until he heard Freddie Bell & The Bellboys do it in Vegas. Thornton's last few years weren't pretty. Dogged by alcoholism, ailing and poor, she was found dead on the floor of her L.A. boarding house on July 25, 1984 at age 57. Customer evaluation for "I Smell A Rat b-w They Call Me Big Mama 7inch, 45rpm"